Carphone Warehouse has spun off its TalkTalk telecoms division and will begin selling consumer electronics as the operations begin to trade as separate companies. In the demerger, shareholders were given one share in TalkTalk for every share in the old group and one share in the new Carphone Warehouse for every two shares in the old group. Shares in old Carphone were at 190.5p at close of trade on 23 March. Analysts expect shares in the new Carphone Warehouse to be priced at 153p and those in TalkTalk at 115p, according to the Financial Times. 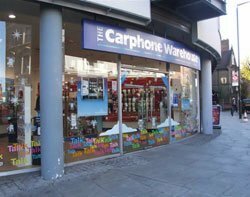 New Carphone Warehouse, which holds the old group's 50% stake in Best Buy Europe, plans to open large consumer electronics stores from April, starting in the UK before moving to the rest of Europe. TalkTalk, which has grown by acquisition to become the UK's second-largest provider of broadband, could become a takeover target for other mobile phone and broadband operators, said analysts. According to figures released by TalkTalk earlier this year, the fixed-line business has more than 4.1 million broadband customers and in excess of 1.1 million voice-only and narrowband customers. Analysts said one of the main risks for TalkTalk is BT's plans to roll out a superfast broadband network using optical fibre, but TalkTalk said in January it was considering a similar move.